Please note: If you've purchased our January 2014 Applique of the month design, shown above, this is the same heart. You will not need to purchase again. This file was originally titled Blooming Valentine and that is the file you'll be receiving with this purchase. Machine embroidery is only an option for creating the applique of this project. 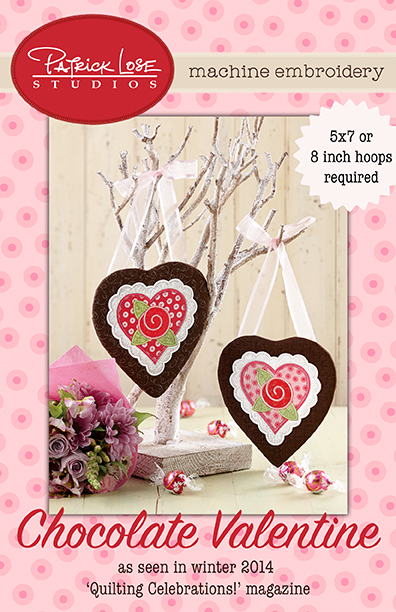 Included are instructions for creating the hanging Valentine holder, with a pocket on the reverse side for a treat or paper valentine. The holder is not an in-the-hoop project. You must have a knowledge of how to use your embroidery machine and how to download the files and load them on your machine or into your embroidery software. We do not give refunds on digital products.